This is a place for a infotext/quick reminder about an upcoming event or a sales promotion. 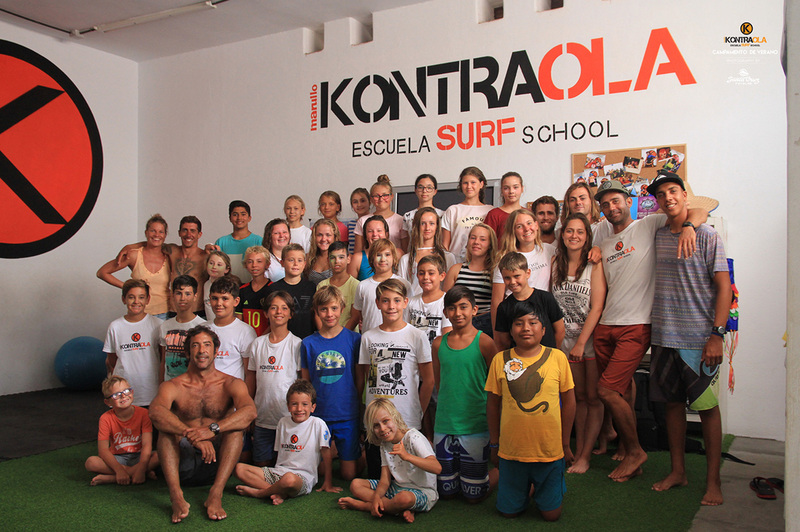 This text will be replaced before the launch with a custom infotext provided by Kontraola surf school. This is a place for a infotext/quick reminder about an upcoming event or a sales promotion. 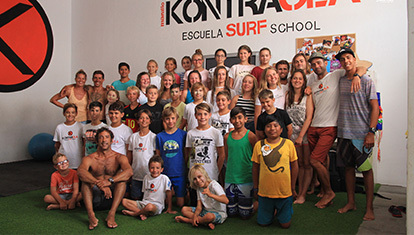 This text will be replaced before the launch with a custom infotext provided by Kontraola surf school. 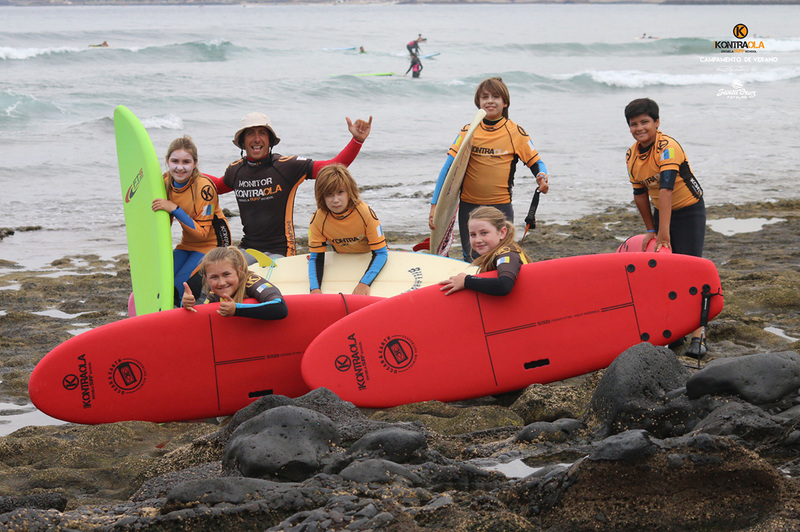 The fastest, easiest and most secure way to surf “your first wave” is to take a surfing course with us. 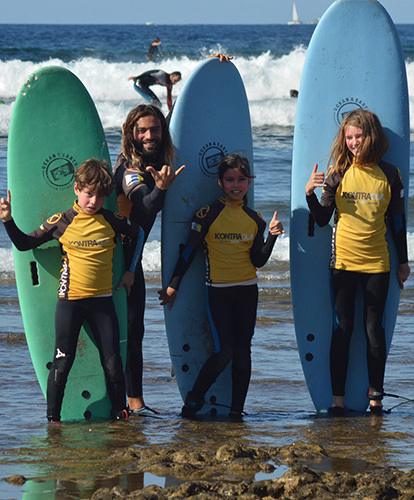 We have qualified instructors in both surf and water rescue, and with proven experience, since our priority is to guarantee the safety of the student, and of course, his learning. 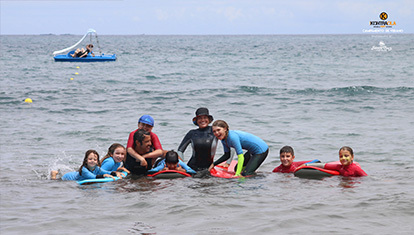 We have qualified instructors in Surfing Class and in water rescue with a proven experience, as our priority is to ensure the safety of the student, and of course, their learning.You will be able to enjoy an initiation course in a privileged environment with warm waters and sun throughout the year. You will learn with optimal conditions facilitating the “standing up”, In a natural environment with these conditions that greatly favors learning and this create an unforgettable experience. 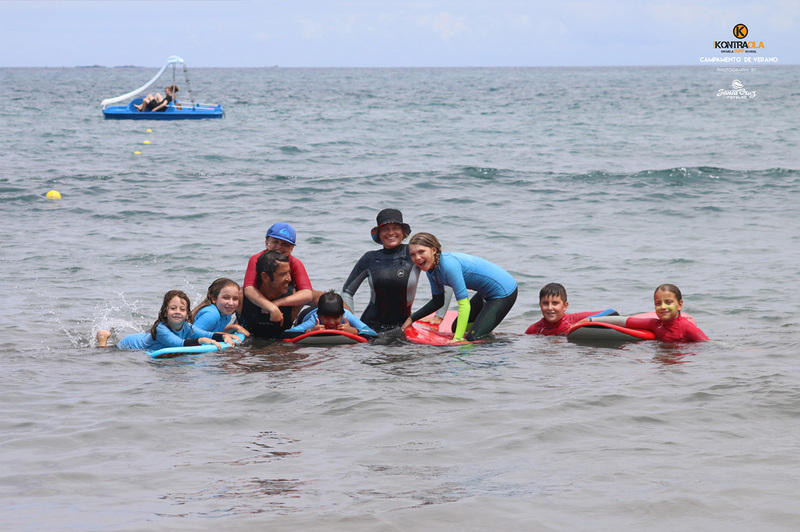 The main objective of this beginner course for beginners or for people who have tried and failed to complete the objective (surfing a wave), is to get them to get up in an easy, safe and fun way. As well as basics in surfing stay on the board, sit on it, paddle and like no, “catch” waves, with the help of specific balancing exercises. In this course you will be guided with some basic notions about the conditions of the sea (winds, currents, tides, direction of the waves). All our courses can be taught individually or in groups. Wetsuit to guarantee body heat and to avoid skin irritations with the material. Monitor available for the student during all classes both theoretical and practical. To guarantee first, a greater control in the safety of the students and secondly to ensure that the learning is completely effective. If you want more information fill out this form. It will be answered as soon as possible. Please fill in the required fields. When this sport began the tables were very precarious, as well as the different material that is required for this practice. 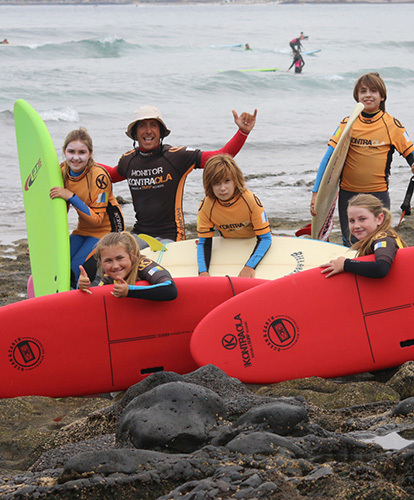 Thanks to the evolution of this sport and the different means of transport at this moment it is very easy to get anything related to surfing at an affordable price. 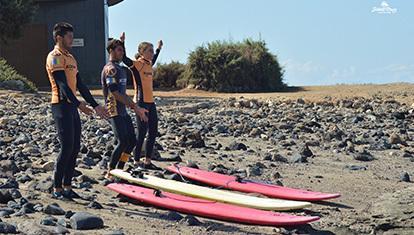 Surfing is one of the most exciting and fun sports that exists. Feel the strength of the waves – the adrenaline that you feel when you practice surfing is unmatched by being in direct contact with nature.